Since 1997, Best Home Renovations Inc. and our remodeling contractors have been proudly serving the local community. Our professionals are adept at all home improvement projects including kitchen and bathroom remodeling efforts. IN every service that we provide, we put the needs and goals of our customers first. In this way, we can guarantee that you will be completely satisfied with the results of your project. Call Best Home Renovations Inc. today if you have a remodeling project planned for your Geneva home. Our Geneva Remodeling Contractor experts are here to guide you through every stage of the effort from material selection to completion. We would be happy to answer any questions that you may have. Our staff can schedule your appointment today. If you want to make the biggest positive impact during your next remodeling project, you should consider renovating the kitchen. The kitchen is the heart of your home. All of your family’s most joyous memories have some connection to the kitchen, from special events and celebrations to holiday meals and gatherings. In addition, you and your family rely on your kitchen on a daily basis. For these reasons, you should focus on beautifying your kitchen while improving the ways in which you can use the area. With our design expertise, you will be able to conceptualize the most impactful changes. Our kitchen remodeling contractors can then make your vision become a reality. Another highly functional living space is the bathroom. By focusing on aesthetics and functionality during your bathroom remodeling project, you can make the most positive changes to the area. Our highly skilled bathroom remodeling contractors can help you with any objectives that you have in mind. We can install a double sink for shared bathrooms. Our team can turn your master bath into a highly comfortable and relaxing area. As with all of our services, everything that will do will be completely customized to the unique goals and tastes of your family. By constantly staying attuned to your inputs, our bathroom remodeling contractors can provide your family with exactly what you are looking for. The best thing about a remodeling project is that your family has the unique opportunity to express your identity throughout your living spaces. At Best Home Renovations, our Geneva remodeling contractors are supremely skilled at making truly individualistic changes to our customers’ properties. Our team can design a custom mural or mosaic within your property. This new feature of your home will be an amazing source of beauty and enjoyment. 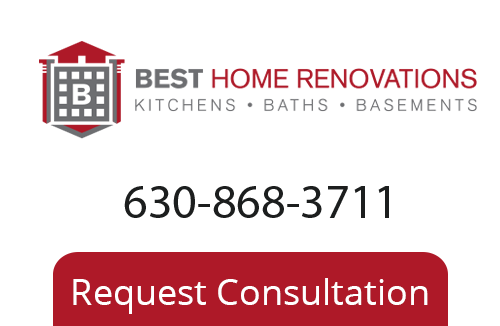 If you need to hire a professionally licensed remodeling contractor in Geneva, call Best Home Renovations Inc. today at 630-868-3711, or fill out our online request form.